Walking conditions – Good footpath with a generally gravel surface. No difficulties. 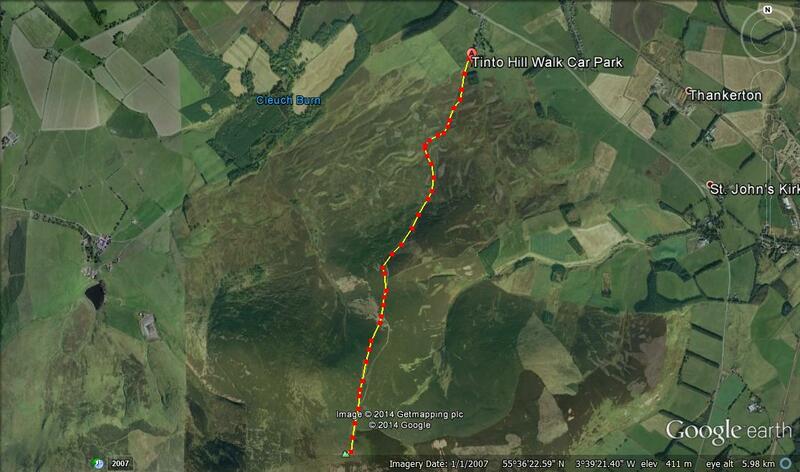 Tinto is Lanarkshire’s tallest hill standing at a height of 707 metres. It is one of the most popular and well-loved hills in Scotland. Tinto was also earmarked as our 5 year-old daughter’s first reasonably sized hill that she would walk all the way up to the top of by herself. ie not carried by me at any point. This is not as cruel as it might seem. The start point is at a height of over 200 metres so it’s not as onerous as it sounds. As yet, we do not have similar expectations for our three year-old son. He’s not fit enough yet and has too much common sense to be coerced into such thirsty work. Anyway, to cut a long story short, our daughter triumphed and we are very proud. After parking in the car park at the foot of the hill we set off on our 490 metre ascent and 3.5 Km long walk. The footpath is made up of gravel and sharp boulders with a couple of muddy bits thrown in, so boots are a must. The ascent is fairly gradual and you won’t be short of having features to identify and people to talk to as you make your way up on a clear day. You should reach the top within a couple of hours where you will be greeted by a trig point on top of a huge collection of boulders. Have a picnic and return by the same route. 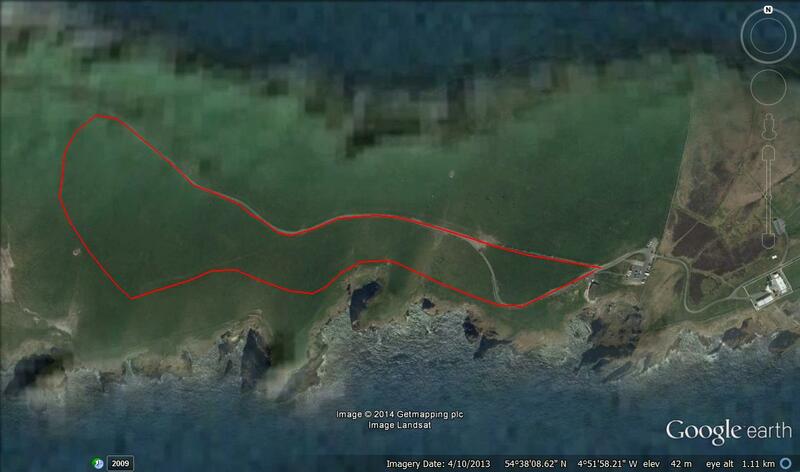 There are other possible descent routes but I stopped using them after the second time I got chased by a herd of cows. I have no idea why I didn’t learn my lesson after the first time. These cows have a bad attitude! 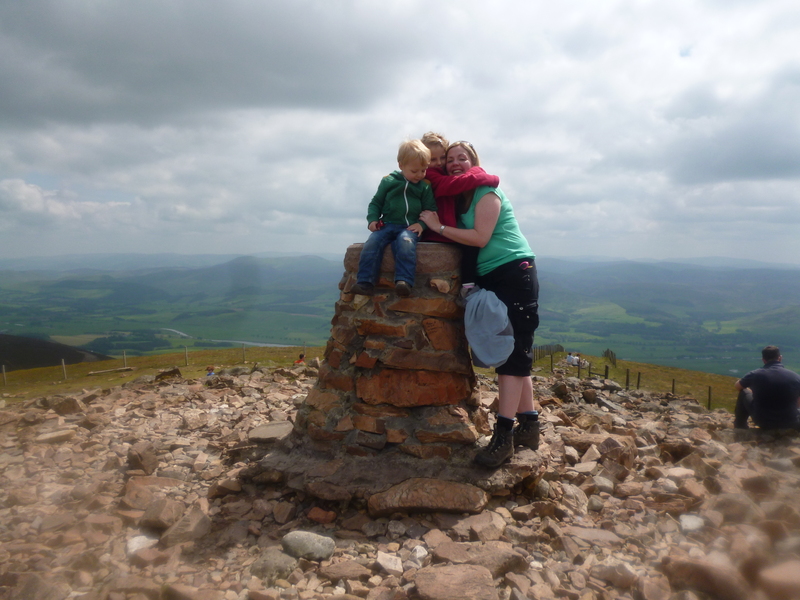 This entry was posted in Southern Scotland on September 18, 2014 by scotlandwalkswithchildren. Walking conditions – Flat, grassy terrain and single track road. Several faint footpaths. Driving South from Portpatrick you will eventually get to Drummond. This place is well worth a visit but don’t make this the end of your journey. Take the single track road to Scotland’s most southerly point. 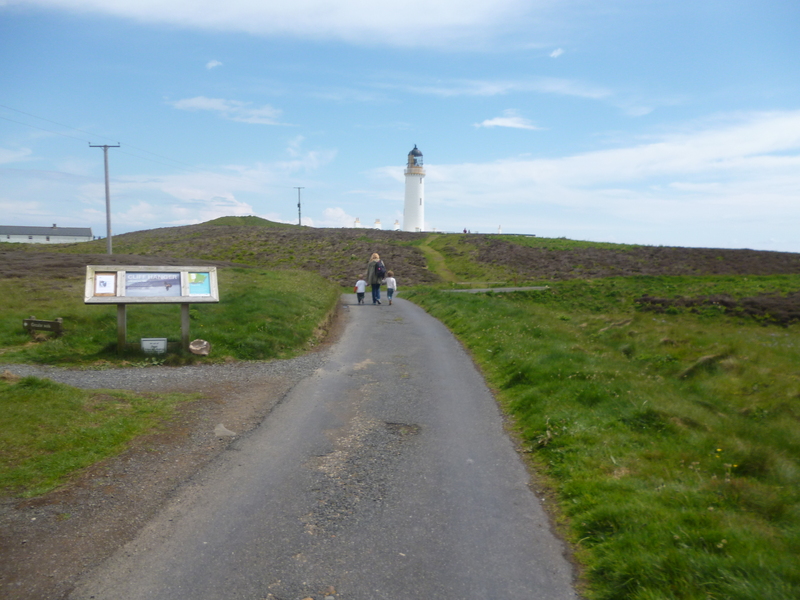 The Mull of Galloway website describes the lighthouse as one of the UK’s best kept secrets. However, judging by the number of visitors we saw someone has blabbed. And a good thing too! Why not go for a pleasant walk along the single track road to meet the cows and watch them have fun stopping the traffic. There are also a number of footpaths for easy walking. Just be careful if you are walking with young children as some of the footpaths are only a few feet away from the sheer cliffs. The cottages beside the lighthouse which were originally used as quarters for the lighthouse workers are now available as holiday lets. We haven’t stayed there yet but it certainly seems like a good idea, although I must confess I might find it a little spooky! This entry was posted in Southern Scotland and tagged mull of galloway walks on September 4, 2014 by scotlandwalkswithchildren. 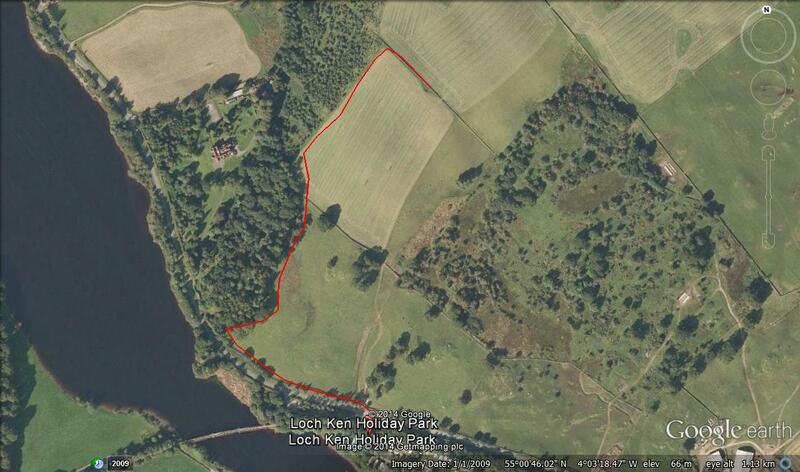 Loch Ken is one of the nicest parts of Kirkcudbrightshire and home to the Galloway Kite Trail. There are lots of walks and other outdoor pursuits to be had along the way. Whilst driving along Loch Ken we pulled into a layby at the Loch Ken Holiday Park (about halfway along Loch Ken on the eastern shore) to look at our map. It was then that we spotted the sign for the Parton Walk footpath. Without a moment’s hesitation we got out of the car, crossed the road and joined the footpath. After a 1 Km walk and with only 40 m of ascent on this cold, bright and beautiful day, we made it to the fantastic viewpoint just in time for elevenses. Nowadays, elevenses is an underused term which we are trying our best to resurrect for no other reason than it provides us with another opportunity to eat biscuits during the day. 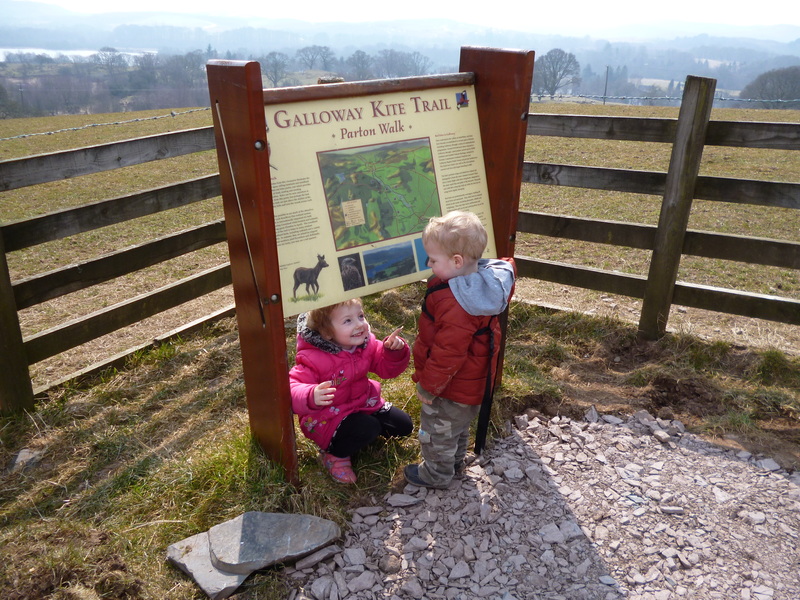 This entry was posted in Southern Scotland and tagged Galloway Kite Trail on August 27, 2014 by scotlandwalkswithchildren.